These debt-free journey updates are so very satisfying. 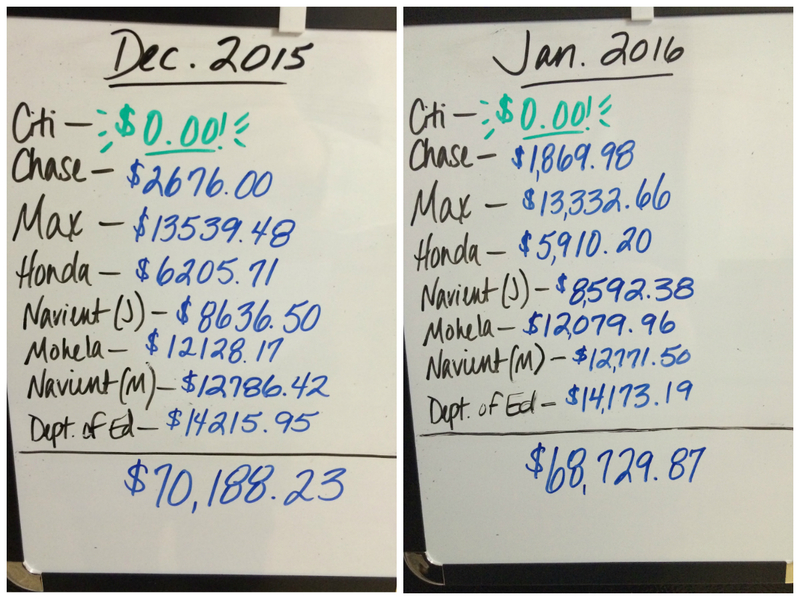 Sharing our progress at the end of a long month gets me so pumped. So let's get to it! I mentioned in my December update that, with our Citi card now paid off (YAY! ), January would be our first month fully experiencing the debt snowball plan: that $50 monthly minimum payment to Citi automatically rolled over to our next debt, the Chase card. Our monthly minimum payment to Chase was also $50, but with that extra $50 from Citi, our new minimum is $100. This happened at just the right time. Chase was our zero-interest credit card...until December 31, 2015. Yeah. For the first time since opening that account, our Chase balance is now racking up interest. And simultaneously, for the first time, we are focusing all of our extra income and energy on demolishing said Chase balance. Extra income for January included $100 in birthday money from my parents (I turned 27 on the 18th, yippee). I kinda wanted to take that $100 and buy myself something special, but my debt-killing ferocity outweighed that desire this time. I set 10% aside for tithes and put the remaining $90 on the Chase card. Our regular "snowball money" (the monthly leftovers after paying all the bills and withdrawing cash for our envelope budget) for January ended up being $750. January's biggest accomplishment? Dropping the total sum below $70,000! 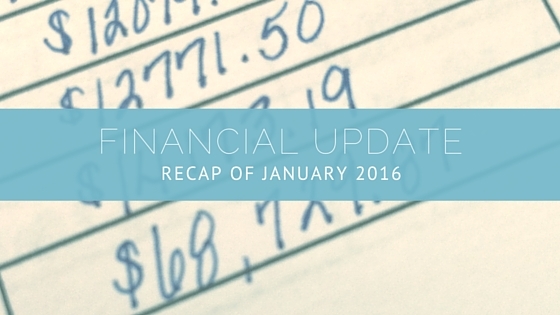 That means...so far, since September 2015, we've paid off $6,681.86 in debt!